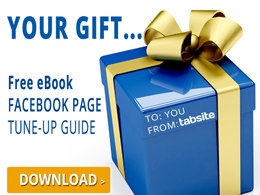 TabSite is pleased to offer Sweepstakes for use on Facebook fan page tabs. Sweepstakes allow visitors to submit entries during a promotional time period. Each entry is e-mailed to you. From the entries you can pick a winner. Platinum users can view/capture/export data and use the system tools to randomly select up to 5 winners. FOR SWEEPSTAKES ENGAGEMENT APP, GO TO THIS PAGE. BELOW ARE SWEEPSTAKE INSTRUCTIONS FOR DRAG N BUILD widget. Platinum users can capture, view, and export all entry information. Platinum Export Manager. Platinum Plan offers ability to randomly select a winner or multiple winners. First, TabSite Gold Plan users should go to the TabSite manager and on the tab that you want to have the Sweepstakes on, we recommend you use the TabSite widgests and tools to create your page layout, background, header, footer, etc. In the example below, we added a 230 x 230 px image on top of a white background rectangle. So are Sweepstakes Widget is layered on top of the white box and when the Sweepstakes goes live the form to enter will be viewable within the white area. FORM: First, enter the e-mail address that you want the form submissions to deliver to. We recommend you type this e-mail address in. (NOTE: We can't guarantee delivery to all e-mail addresses as thngs such as your spam filters can impact this. Please test! With Platinum Plan you can opt to not receive e-mails and simply use a CSV Export to get all entries. For Drag N Build tabs, see Export Manager) Below this is the "Field Width" which is how wide your form fields will be to fit well within your design. They should never be larger than 480 px to allow room for the field name. You then have the option to rename your "Submit" button, so if you want to say "Enter!" you can, etc. PREVIEW: There is a blue "Preview" button at the top and bottom of the Sweepstakes portal enabling the TabSite Manager to click through Pre, Live, and Post tabs to see each view of the sweepstakes. If one area is not shown, check the "Choose Display Type" in that area back in the edit mode to ensure you have it set appropriately. Your Sweepstakes winner is yours to determine from those who have submitted entries. There is not a winner generated for you in the Gold Plan. The Platinum plan gives Facebook Page Admins a tool in the Export area to view entries and to select number of winners (up to 5) and then the system randomly selects a winner or up to the top 5, making it easy to have a random winner identified for each sweepstakes you run! Launch a TabSite Sweepstakes today!